Product prices and availability are accurate as of 2019-04-22 13:35:24 UTC and are subject to change. Any price and availability information displayed on http://www.amazon.com/ at the time of purchase will apply to the purchase of this product. 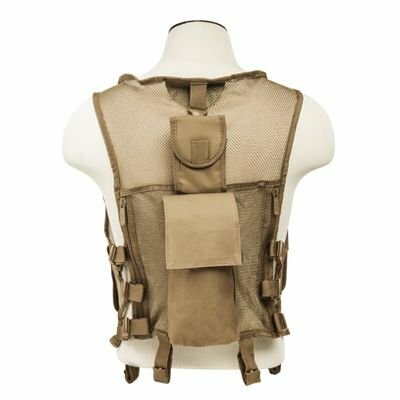 Lightweight mesh tactical vest heavy duty front zipper chest panels with 4 each AR/AK rifle Mag pouches two utility pouches one with loop fastener patch on flap for 5 each 12 ga. Shotshell holder 3 each 12 ga. Shotshell elastic holder on upper right panel. 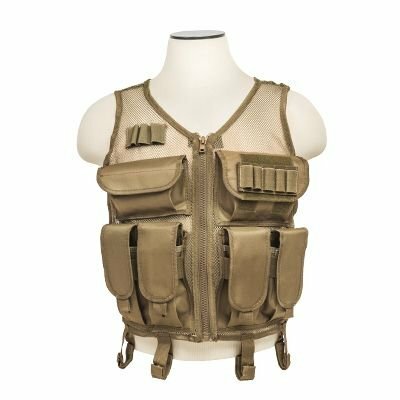 Vest is adjustable for Torso size with 3 adjustable straps on each sides. Back panels includes a large zipper compartment with a zipper on each side large tall pocket for air tank small utility pouch. 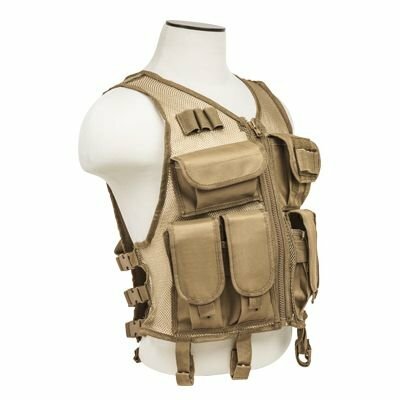 Vest also includes snap & fastener belt keepers.